Cat Amazing is a one-of-a-kind interactive puzzle game for your cat. It’s irresistibly fun, and the stakes are high – the reward is kitty’s favourite treat! Cat Amazing has three difficulty levels to stimulate & challenge cats, even as their skills improve. The levels will keep your cat coming back to play & give you an unparalleled look into your cat’s incredible mind – and reveal their rich personality! 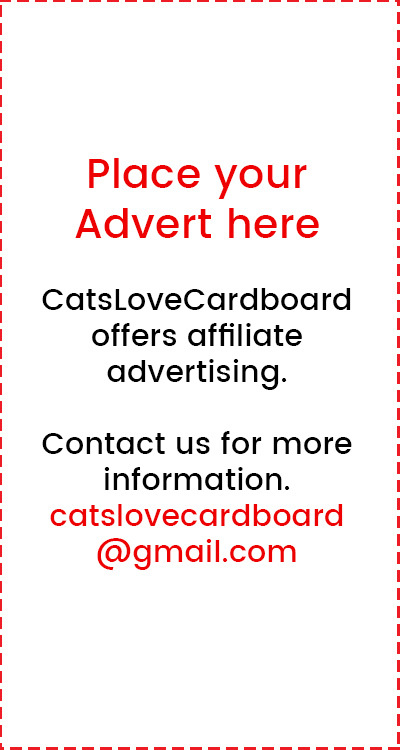 You’ll have a great time watching your cat’s tremendous feline cleverness in action – and others will want to share in the fun. Cat Amazing is an instant hit wherever people and cats are gathered. In fact, watching your cat have this much fun might tempt you to throw in a few pretzels and have a go yourself! (we don’t advise it). 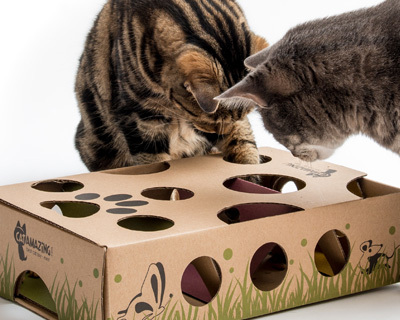 Cat Amazing is made from 30% recycled & 100% recyclable cardboard, and printed with certified metal-free inks.